An Interview with Julie Burkhart, reproductive rights hero. In 2009, Dr. George Tiller, family doctor and abortion provider, was shot and killed in his Wichita, Kansas church by an anti-choice extremist. Before the murder, Julie Burkhart worked side by side with Dr. Tiller for eight years. Afterwards, Ms. Burkhart vowed to carry on his vision of safe, accessible abortion care for the women of Kansas. She founded Trust Women PAC and Foundation. This year, after a long fight she hired a clinical team and opened South Wind Women’s Center which provides abortion care on the site of Tiller’s old clinic. It is the only abortion provider in Wichita, serving women from western Kansas and Oklahoma. Burkhart has withstood harassment and death threats to make this dream a reality. The Seattle Film Festival just showed, After Tiller, about the last remaining late term abortion providers in the country. I was struck by how profoundly George Tiller had inspired each of them. Here are these doctors who knew and loved Tiller risking their lives to carry on the mission. What was it about that guy? Burkhart: He had so much compassion. He felt that women were capable of making their own decisions about each and every pregnancy. Also, he was a very solutions oriented person. Within a very hostile environment in the Midwest he set this path of being solution oriented and listening to women. His clinic was firebombed in 1986. He was physically attacked. He was shot in both arms in 1993 and the next day he was back on the job. You know, Tiller didn’t plan to become an abortion provider; he planned to be a dermatologist. But in 1970, his parents and sister were killed in an airplane accident. He returned to Kansas to settle their affairs and felt called to carry on his father’s family practice. He started doing abortions because his patients asked him. The same with late term abortions. Tiller said that he was woman-taught. For him it was a matter of compassion and justice for women in need. What was it like for you when he got killed? Burkhart: It was one of the worst days of my life. At first I thought someone was playing a cruel joke. It couldn’t be real. . . . I mean, we all knew at some level that it was a possibility. In his office he had a couch, and sometimes when I walked in, his bullet proof vest was on the couch. He drove an armored jeep and had a body guard that went a lot of places with him. Living around that you know that potential violence is real but in order to function you can’t think about it every day. When did you decide that you wanted to re-open his clinic? Burkhart: I started first with a focus on politics, thinking that would be the most helpful. I founded Trust Women PAC and Trust Women Foundation. But what good are politics if there are no providers and clinics? From the beginning, we had a desire to offer services but experiencing a tragedy like that, it takes a while to sort things through. We bought the old clinic building from Dr. Tiller’s wife, Mrs. Jeanne Tiller, in August 2012 and started remodeling. Before the murder, I had moved to St. Louis, and when Dr. Tiller was shot I thought I’m never stepping foot in Kansas again! But I moved back in August of 2011. I couldn’t live somewhere else and reopen the clinic. So, you’re now running the only abortion clinic in Wichita, and it is in the very building that used to belong to Dr. Tiller. Burkhart: Yes. It was quite a process, and opponents fought us at every step. They filed complaints with the licensing board, called the Board of Healing Arts, hoping the board might deny the doctors their Kansas medical licenses. They tried to re-zone us through the planning commission. They complained to the building inspection office. I think we had five different inspections by the city because of complaints that we didn’t have proper permits even though I had hired professional contractors who knew what they were doing. Mostly they are working through the legislature and through the office of governor Sam Brownback who would like to see all abortion services made illegal. Despite all, we opened April 3 and we are now serving about 40 women a week with abortion care plus another 20-30 women for other gynecological services. We do abortions just through week 14-16 at this point. Our patients come from all over central and western Kansas and the panhandle of Oklahoma. Without us women would have to travel as far as six hours to get services. What was the most scary point in the process of re-opening the clinic? Burkhart: The most personally threatening situation was one day when people were protesting at my house. My husband and (mercifully) my daughter were away. A local fundamentalist minister Mark Holick and a group from his church, Spirit One, began arriving in my neighborhood. Mr. Holick used a bullhorn to get our attention. Then they propped up a sign in my yard that said, “Where is your church?” (because of Dr. Tiller being killed in his church). It was scary enough that I had my gun out on the bed. Another day I came out to go to work and there was a Suburban parked on the street by my driveway. It pulled out after me. I did three right turns and it followed me, and I called the police. We have tighter security on the house and have added cameras at the clinic. I took out an order of protection against stalking. The physicians have armed escorts to and from work. How does your family react to the work you are doing? Burkhart: My husband gets a little stressed out every once in a while. He gets angry and wants to defend me. My broader family is supportive. Even my dad, who is one of these old style Republicans—he came to our opening and he is pretty proud. My mom volunteers and helps out. My daughter has questions, like the other day she asked me about the youngest patient we had seen. She’s really thinking about these things now. Do you also have to guard the safety of your patients? Burkhart: The patients tend to be targeted for harassment and intimidation at the gate. Our property is surrounded by a six to eight foot fence. When the protesters are there they try to stop the cars at the gate, to hand out literature that is not medically accurate. We have to tell patients on the phone that the people at the gate don’t work at for us because they will stand there with a clipboard, looking rather official. They opened a CPC (a fake clinic) just to the south of us, and they try to get women to go there. Once our patients make it through the gate, we have armed security onsite and a metal detector. We have layers of locked doors. I don’t like the fact that a patient has to go through a metal detector and a guard has to let you in. It bothers me, and it says a lot about the climate we live in, but I don’t want to put anyone in harm’s way. What are the most odious restrictions your patients and providers face? Burkhart: For females up to age 18 Kansas now requires dual parental consent, with notarized forms from two parents. Then there’s the ultrasound law. The patient and the doctor have to sign a form saying that the woman was offered a chance to look at the ultrasound or listen to a fetal heartbeat. We also have a law that says the procedure can’t begin till 30 minutes after the woman meets the doctor. That might sound small, but it makes things complicated when you’re trying to focus on clinic flow and best medical practice. We’re trying to make sure women get excellent compassionate care. It is a challenge. What do you hear from your patients about why they are seeking abortion services? Burkhart: They come for a variety of reasons. Some already have the number of children they want to have. Financially they wouldn’t be able to care for a child. For some, the time is wrong because of relationship circumstances. All different types of reasons. What are the saddest situations you encounter? Some women come in with spiritual anxieties. Will God forgive them? It is important to connect them with clergy who are supportive. We have relationships with both Christian and Jewish clergy who are compassionate and supportive and who are willing to meet with women who need spiritual care. Burkhart: Take Root, is an annual conference at Oklahoma State is a way to train and educate young women in the Midwest about reproductive justice. It has an academic component and an advocate component. We have students coming from all over the region. I’m hoping it will continue to grow. Burkhart: Women in Midwestern and Southern states have a really hard time getting services they need, but it is important that we bring access back to communities that no longer have that. Before we opened the clinic, I kept receiving emails telling me how wrong-headed I was for trying to open a clinic in Kansas. Writers thought women in that part of the country should simply move. But it is unfair to abandon women in our part of the country simply because the climate is so hostile. In fact, the need is probably higher because women in the heartland and the South often don’t have access to excellent family planning care and education. After we opened we had patients who told us what a blessing it was, that we had opened just in time for them. Religion gets used against us, but these women saw the hand of God in our work. The bottom line is, women need care, and it can be done. It’s not going to be as easy or straightforward, but working together it can be done. Julie Burkhart is the founder of Trust Women PAC and Trust Women Foundation, and is the director of South Wind Women’s Center in Wichita. Valerie Tarico is a psychologist and writer in Seattle, Washington. 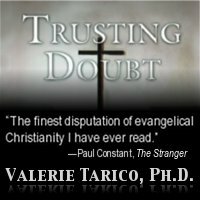 She is the author of Trusting Doubt: A Former Evangelical Looks at Old Beliefs in a New Light and Deas and Other Imaginings, and the founder of www.WisdomCommons.org. Her articles can be found at Awaypoint.Wordpress.com. Gallery | This entry was posted in Reproductive Health and tagged abortion, George Tiller, Julie Burkhart, reproductive rights, Southwind Women's Center. Bookmark the permalink. 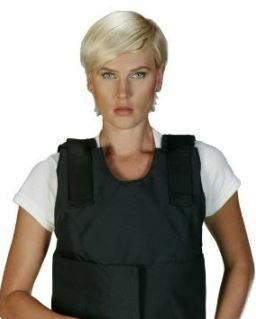 2 Responses to America: Where Women and Doctors Need Bulletproof Vests? In October, anti-abortion extremist Lila Rose made the pathetic and disgusting attempt to compare herself to Malala Yousafzai, the Afghan teen who survived a murder attempt. Rose tried to claim that anti-abortion extremists (e.g. Operation Miscue) are somehow the “under daily threat of violence”. The last time I checked, no one has ever tried to blow up or burn down a church for advocating an anti-abortion position. But there are plenty of people currently in US prisons who murdered doctors and bombed clinics, and others who should be in prison but aren’t because politicians like what they say (e.g. Neil Horsley, Randall Terry). No one likes abortion, not even those who want it kept legal or ask for one. But the anti-abortion types (read: anti-woman types) don’t care about reality and problems, they only care about controlling women and society in general.